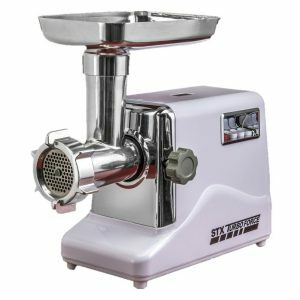 Learn everything you need to know about STX-3000 Turboforce Meat Grinder Reviews, as well as all the facts about this high power at home meat grinder. Is this the best option for your kitchen? Letâ€™s find out! 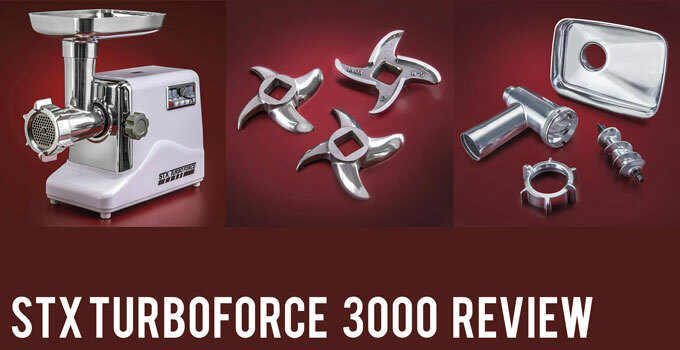 As the prelude to the magnificent STX-4000 Turboforce Meat Grinder, the STX-3000 Turboforce Meat Grinder Reviews are equally good. This earlier model offers a similar but more affordable option. Just like the STX-4000, this machine can handle up to 225 pounds of meat per hour! 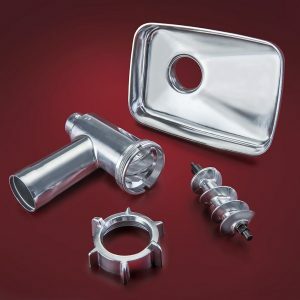 The STX-3000 Turboforce is made from 100% Polished Food Grade Cast Aluminum (non-coated). While beautiful, durable, safe and long lasting, this material cannot go in the dishwasher. There are special hand washing instructionsâ€”more on that later. This is one of Upland Hunterâ€™s top picks featured on our list of the Â Best Home Meat Grinders. We picked it because itâ€™s strong enough to handle lots of wild game, and itâ€™s fast so you donâ€™t have to spend so much time in the kitchen. The STX-3000 can grind between 175 to 225 pounds of meat per hour when on high. On low, it grinds between 110 to 140 pounds of meat per hour. Easy to set up and use, comes with a comprehensive Ownerâ€™s Manual that explains everything in a clear concise manner. 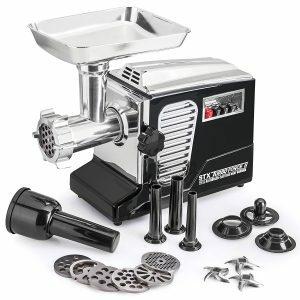 What Accessories Come with the STX-3000 Turboforce Meat Grinder? The 3 tempered/hardened steel grinding plates include a Wagon Wheel for coarse grinds, a medium plate (1.25 inch holes) for medium grinds, and a small plate (5/32-inch holes) for fine grinds. The polished cast aluminum grinding head is a #12 size, which is more substantial than #5 and #8 grinding heads often used on similar priced machines. Comes with Advanced Variable Intake (AVI) Technology which gives you the power to grind more meat at once. 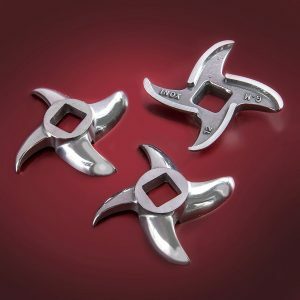 The three #304 stainless steel cutting blades can grind for hours on end without slowing down. The blades are one of the few parts of the machine that can be placed in the dishwasher as well as washed by hand. Make homemade sausages with ease thanks to the sausage tubes and adapter. Sausage tubes come in the following diameters: Â¾ inch, 5/8 inch, and Â½ inch. The kubbe/kibbe attachment and adapter are popular accessories that can be used to make the traditional Middle Eastern dish. The conversion of Watts into HP is 4 HP rating, but do not confuse this machine for having a 4 HP motor. Instead, the STX-3000 Turboforceâ€™s motor is just below Â¾ HP. This is fairly standard for a residential meat grinder, while 4 HP is what youâ€™d find in a commercial industrial meat grinder with a much heftier price tag. Â Keep in mind, whilst very powerful, this is an at-home model not intended for commercial use. Itâ€™s important to note that two machines can have the same power and operate at completely different levels. Rest assured, this meat grinder has the power to process a lot of meat at homeâ€”just ask hunters who use it to process multiple deer and other large animals each year. In further proof of its power, the STX-3000 can grind up to 225 pounds of meat per hour on the highest setting. Many STX-3000 Turboforce meat grinder reviews cite how easy this machine is to set up and use. There are 4 buttons on the side of the grinderâ€”Low, High, Reverse, and Stop/Reset. If the machine overheats it automatically shuts down. Simply wait a few minutes for the machine to cool off before turning it back on via the Reset button. The STX-3000 is just as easy to dismantle and clean. It is recommended to use liquid dish soap and hot water to clean by hand and then air dry or towel dry. Materials are susceptible to discoloration if not cleaned with each use. There are around 5 to 7 different parts youâ€™ll need to dismantle and clean. Many meat processers at similar price points come with smaller #5 or #8 grinders, but these clog easiliy and make grinding meat a slower process as a result. The STX-3000 Turboforce comes with a superior size #12 grinder. The grinder includes a 2 Â½ inch diameter output thatâ€™ll reduce the chance of blockages. It also comes with a 2-inch diameter feed tube. Can the STX-3000 Turboforce grind bones? This meat grinder is not intended to grind bones despite the fact many STX-3000 Turboforce meat grinder reviews claim it can grind bones. If you plan to grind bones, this isnâ€™t the machine for you. Yet, as we well-know, the occasional bone might end up in your meat grinderâ€¦ in which case, the machine should hold up just fine. While the manufacturer wonâ€™t tell you so, reviews point to the fact this meat grinder is durable enough to handle the occasional bone or connective tissue that finds its way in. The STX-3000 Turboforce Meat Grinder Reviewsâ€”What About a Warranty? The STX-3000 Turboforce comes with a 3 year 100% guarantee to fix, repair, or replace your unit. After the first 30 days of your purchase you can enjoy the reassurance of a money back or replacement guarantee. Any products found to be defective within the first 30-days after purchase can be returned for a complete refund or exchanged for a new machine. In this case, the manufacture covers shipping costs so youâ€™re out $0. As we mentioned before, this is the earlier model to the newer STX-4000. Aside from a lower price point, what makes this earlier model meat grinder different? For one, it doesnâ€™t come with the optional hands-free foot pedal. It packs the same power and can grind up to 225 pounds of meat per hour at high speed, just like the newer STX-4000. Another difference is the STX-4000 comes with a built-in fan to cool the motor, while the STX-3000 Turboforce does not. If you plan to grind a lot of meat at once, you might want to consider spending a little extra on the STX-4000 for this reason. The STX-3000 Turboforce meat grinder reviews do a great job showing off the quality and reliability of this machine. We give it an 8 out of 10 for the final score. It misses some points due to its lack of a built-in fan to cool internal parts and the motor. 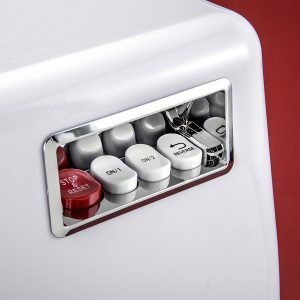 Itâ€™s also missing the conveniently optional foot pedal that comes with the later model STX meat grinder. It still earns an 8/10 because it is easily one of the most affordable and reliable at home meat grinders on the market.